Snorkelling trip to Isla Lobos to search for marine life like sea turtles and manta rays and swim with sea lions. The afternoon is free to enjoy the beaches and surrounding area. 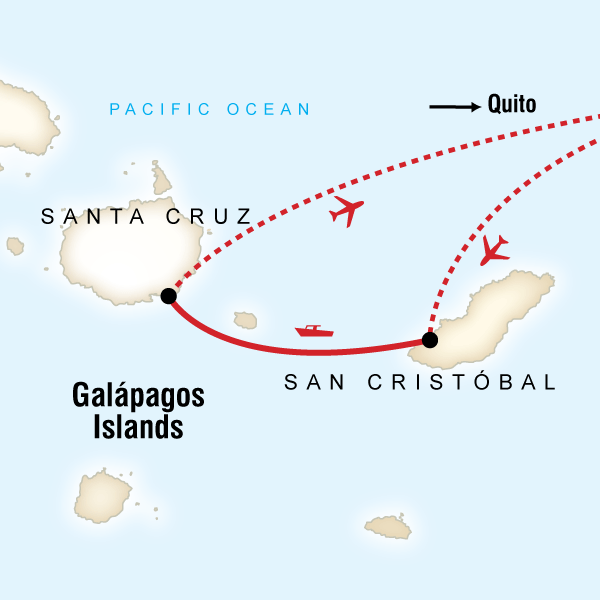 Travel by boat to Santa Cruz Island. On arrival, visit the highlands of the island to see Galápagos giant tortoises in the wild. Take a sea kayaking adventure at Tortuga Bay to explore the mangroves. Opt for a surf lesson in the afternoon. Head out on a boat tour to Lobería, Las Grietas, and Playa de los Perros, where there's time for some swimming or snorkelling. In the afternoon, visit the Charles Darwin Research Station.